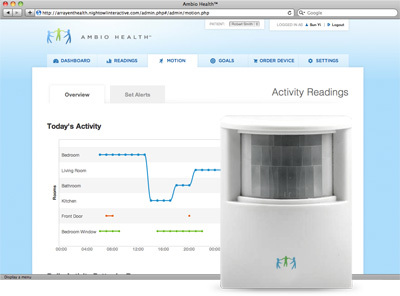 Monitor Activity with Ambio Health! 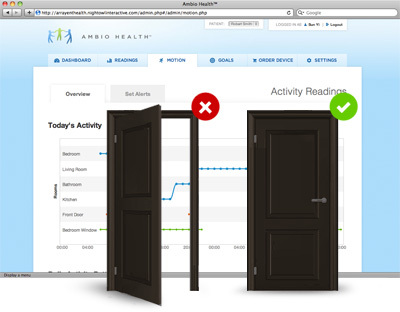 Ambio Health’s proprietary motion, door and window sensors monitor movement throughout the house. You can now rest assured that your family member is safe even when you’re not there. 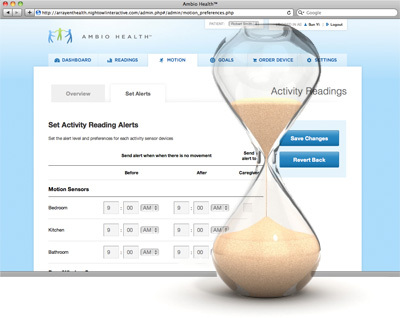 Ambio Health’s motion sensors allow you to monitor activity anywhere in the house and view charted activity history. Motion sensors use passive infrared technology (not cameras) and can be placed in the family room, kitchen, bedroom and even bathroom. 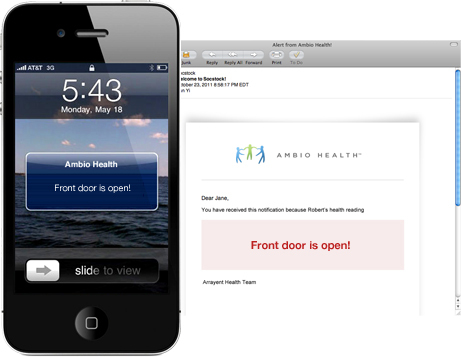 Ambio Health Door/Window sensors monitors whether a door or window is open or closed. Be assured that your loved ones are safe and their doors and windows are secure. Alarm conditions can be pre-determined to alert you if there is no activity when you expect it, or if there is motion when you don’t expect it. Just as with the health meters, activity thresholds can be customized and alarms triggered as specified. You can choose how and who you want to receive alarms. Messages can be sent either via telephone, text message or email.